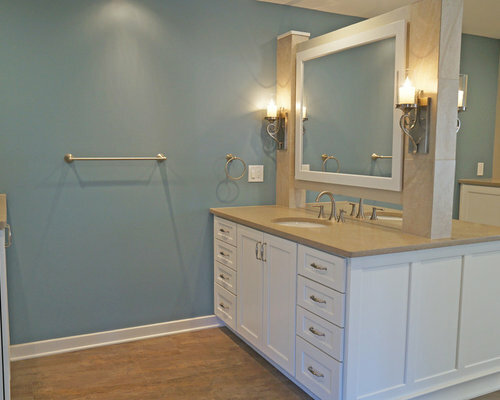 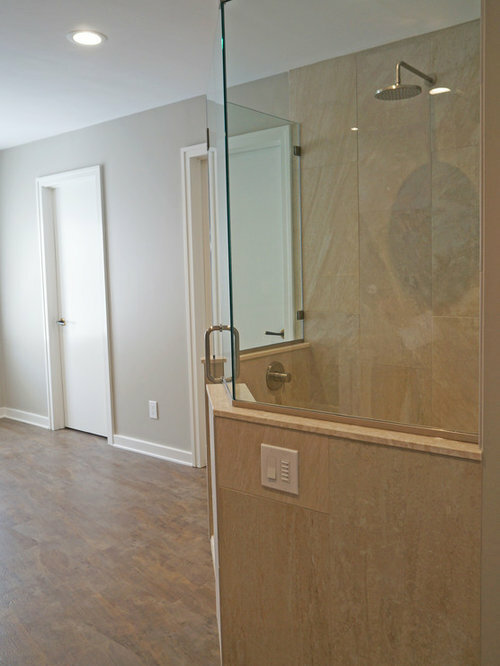 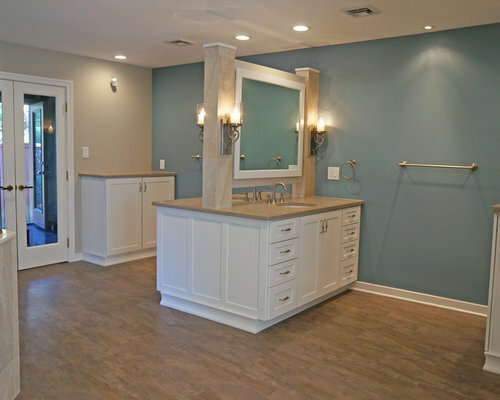 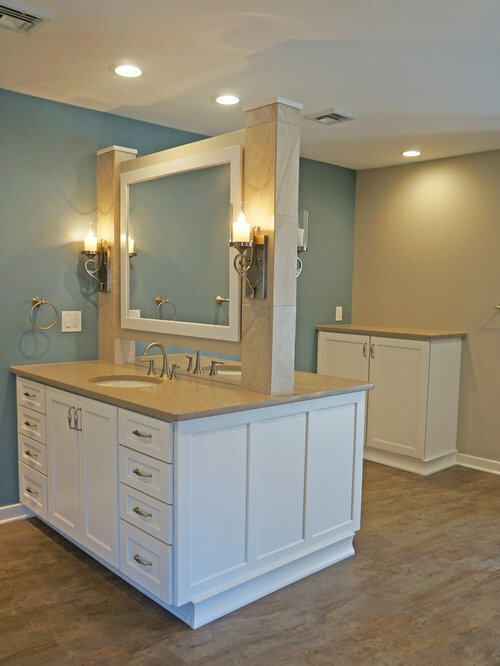 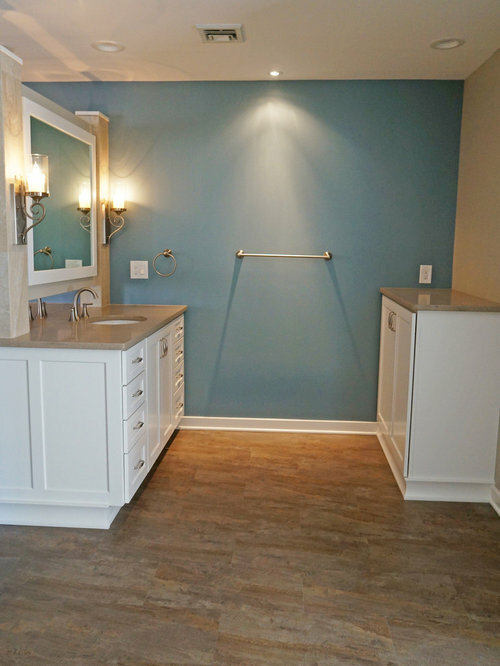 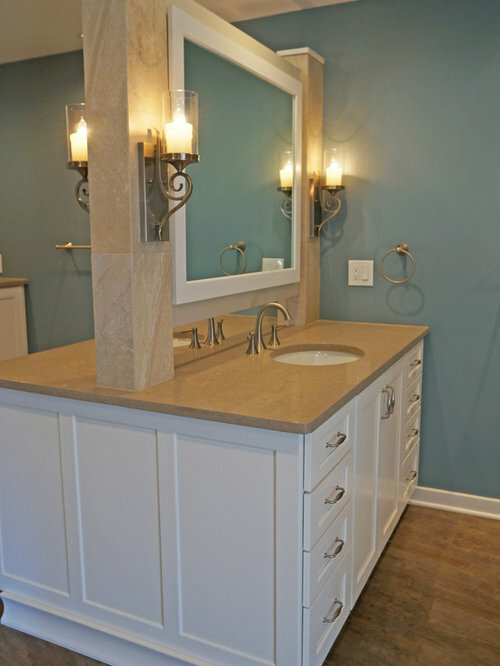 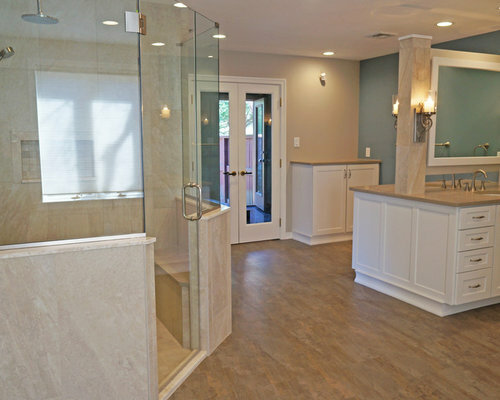 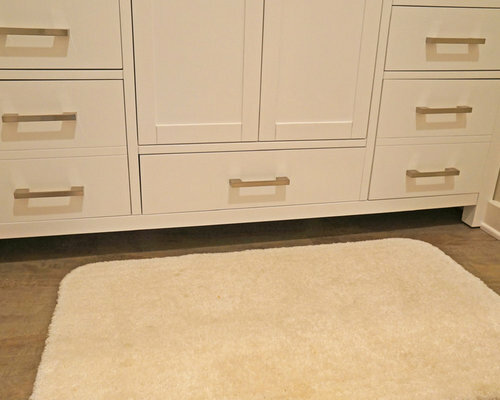 This large bathroom design in Newtown, PA includes ample space for more than one person to get ready. 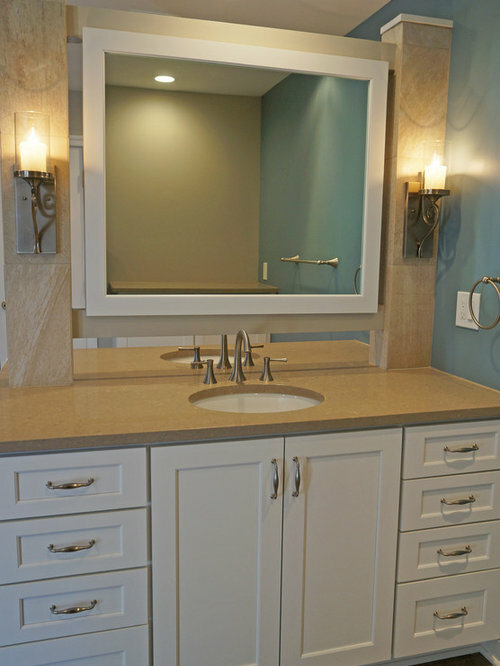 The peninsula style Dura Supreme vanity cabinet with a sink and storage space on either side, divided by a mirror, is a striking centerpiece. 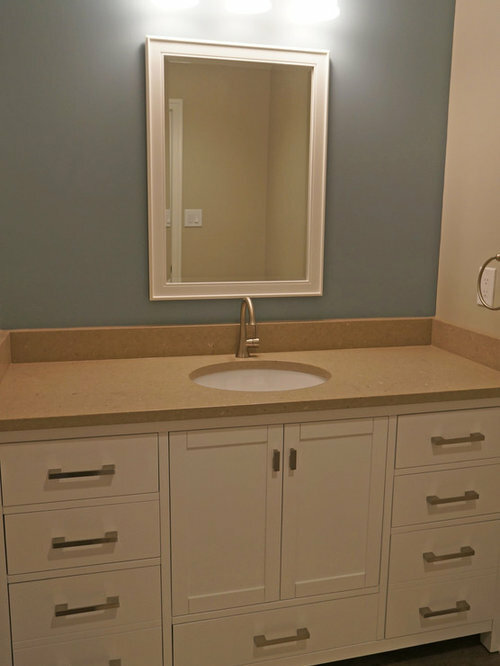 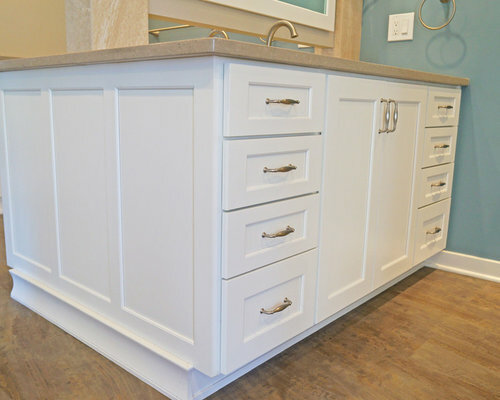 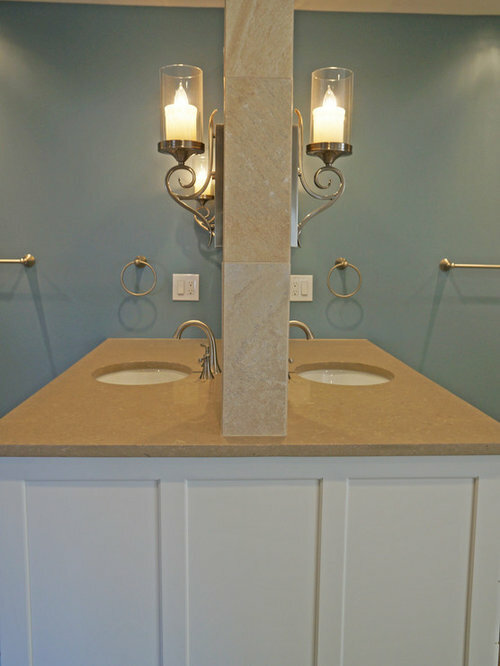 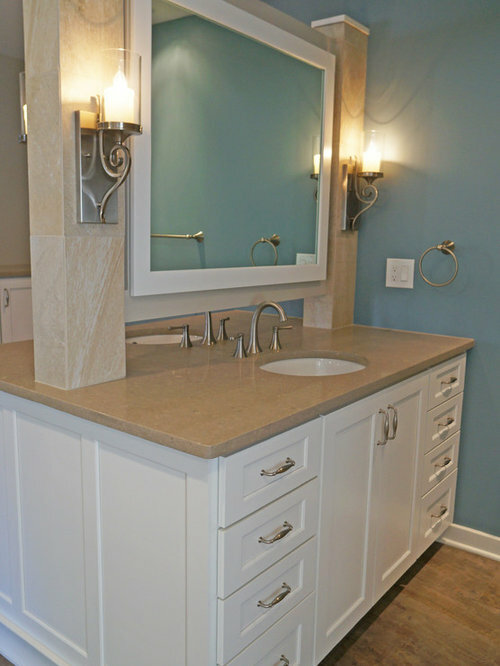 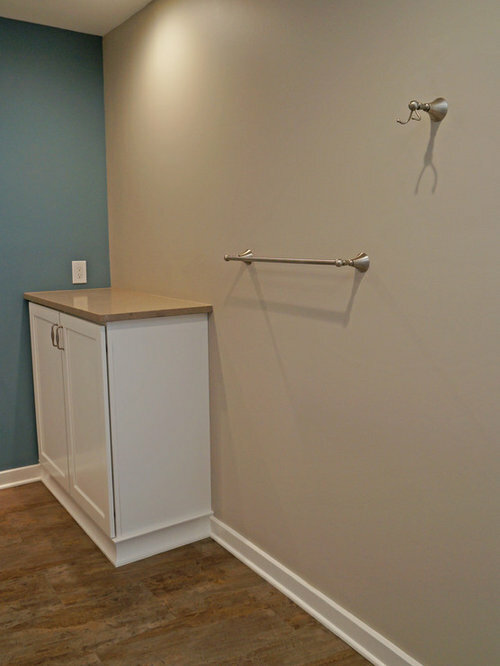 The cabinetry is offset by Silestone quartz countertops, Alno hardware, and Riobel faucets. 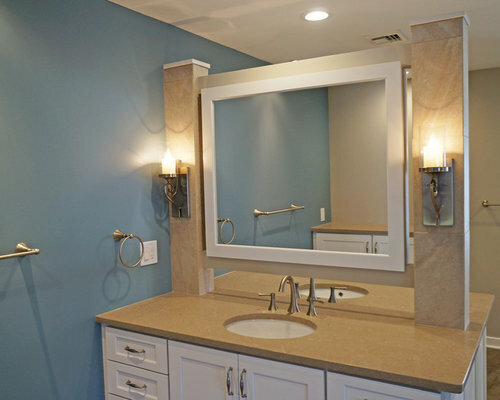 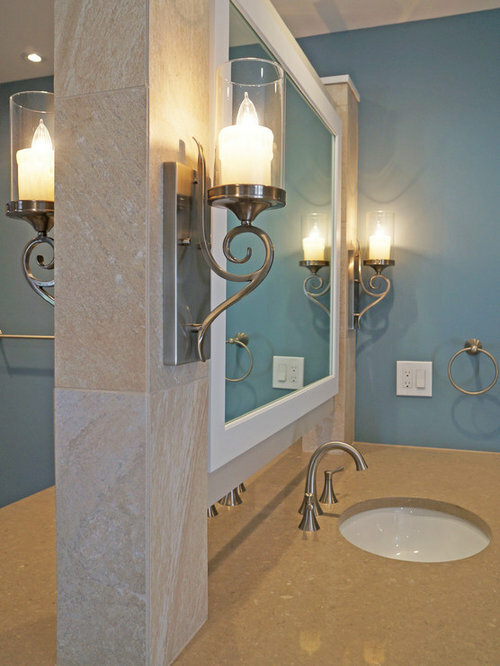 The vanity mirror is framed by pillars that incorporate Kichler sconces. 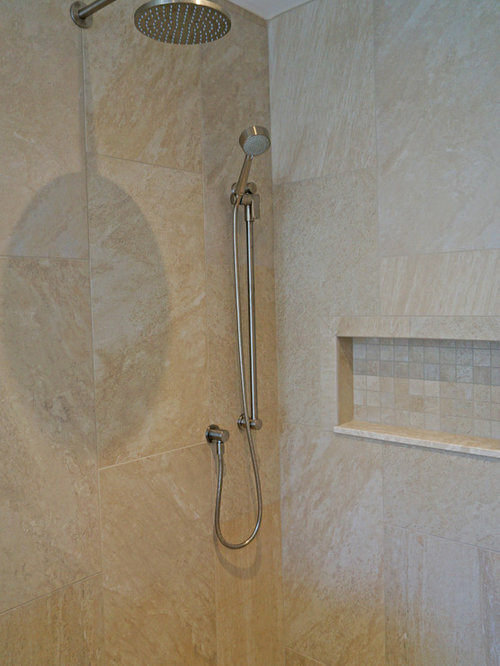 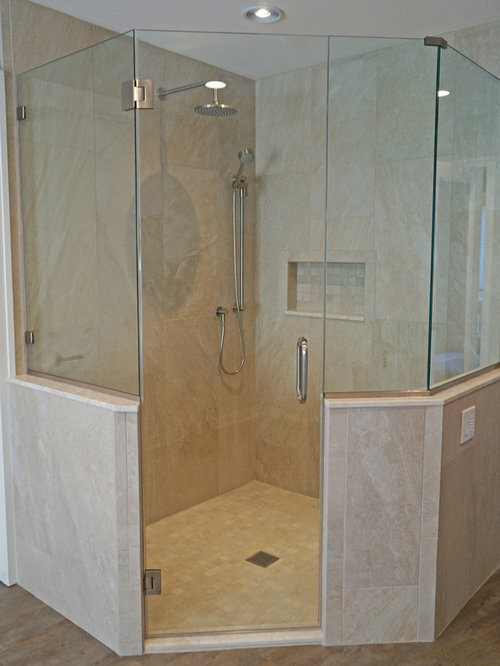 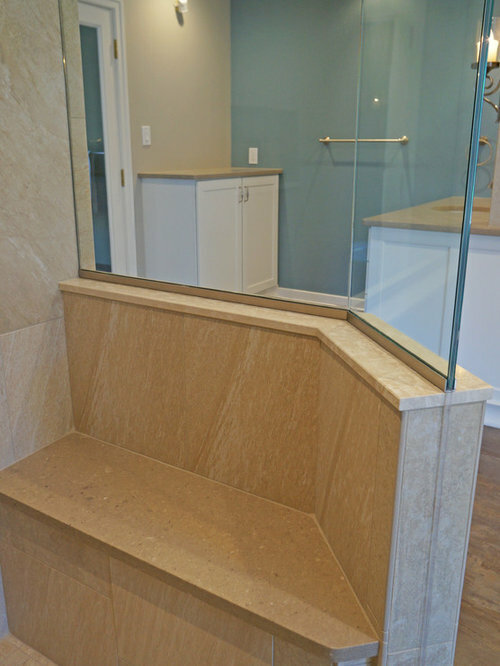 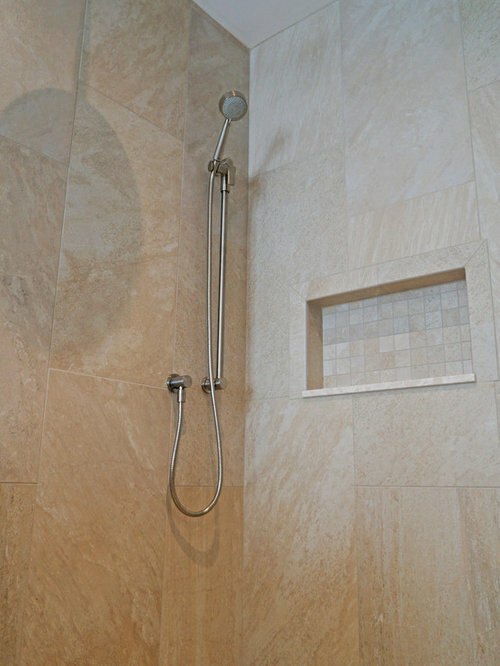 A large alcove shower offers the ultimate in comfort with a shower bench, recessed storage niche, and rainfall and handheld showerheads. 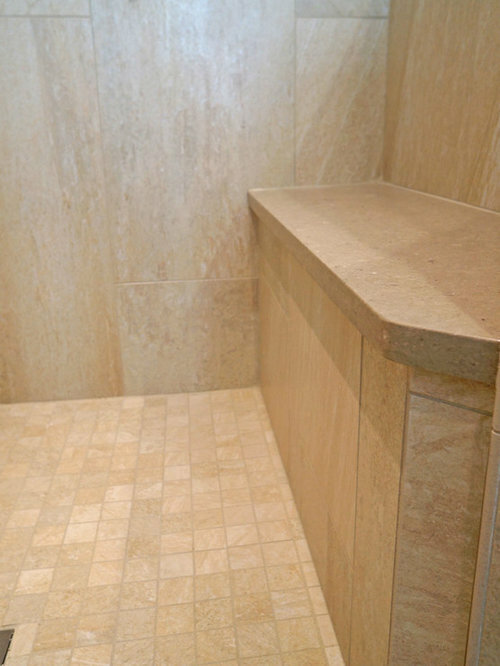 The Toto toilet sits in a separate toilet compartment for added privacy.